Note that the pool is only heated by natural direct solar radiation gain. No other heating system is in use. 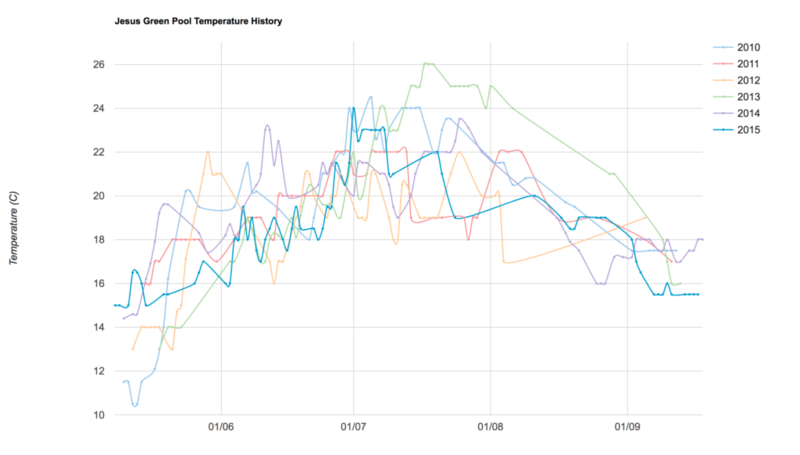 2017 Pool Temperatures as measured by the staff.